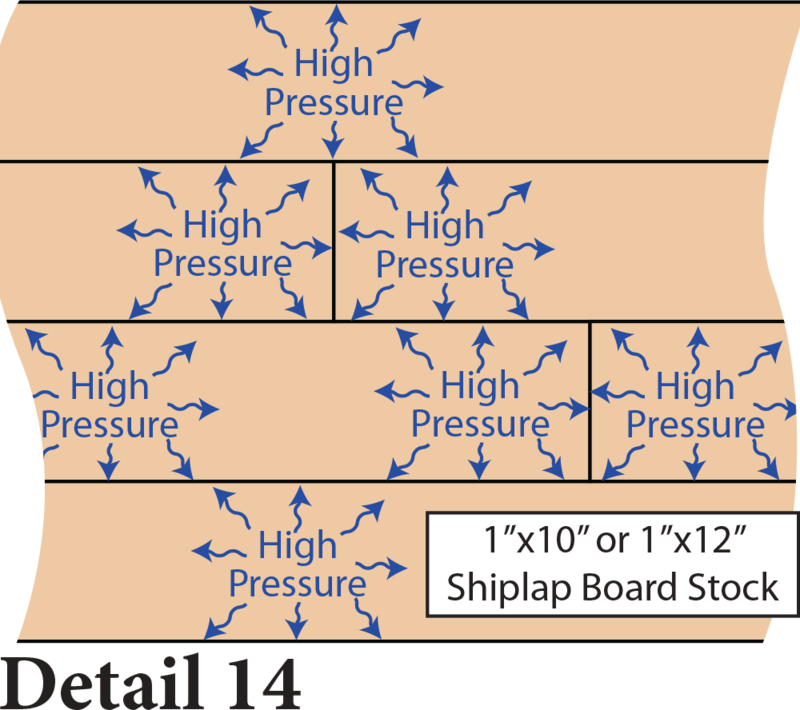 Living At The Edge | Masonry Technology, Inc. 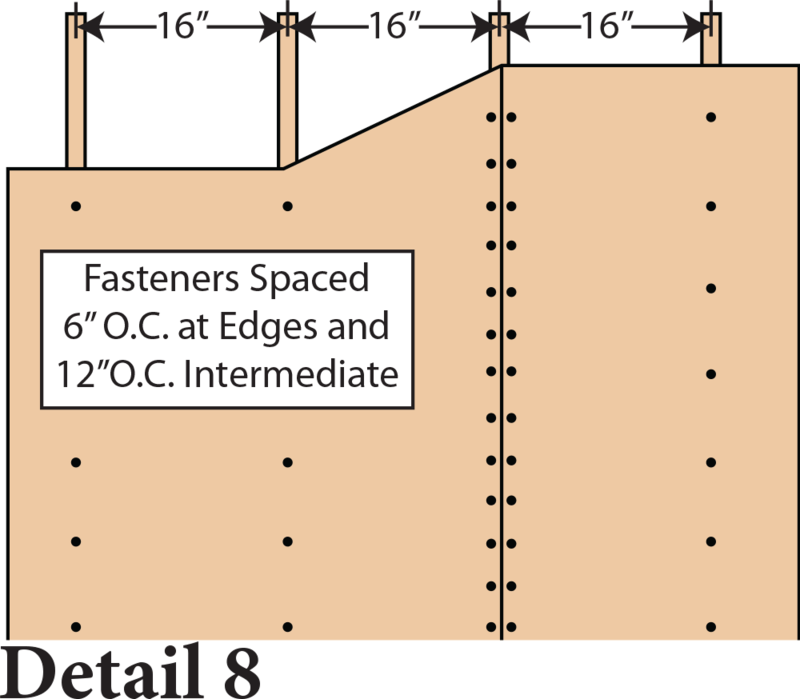 The construction industry has witnessed an ongoing trend towards large dimension material panels over the last 60 to 70 years. 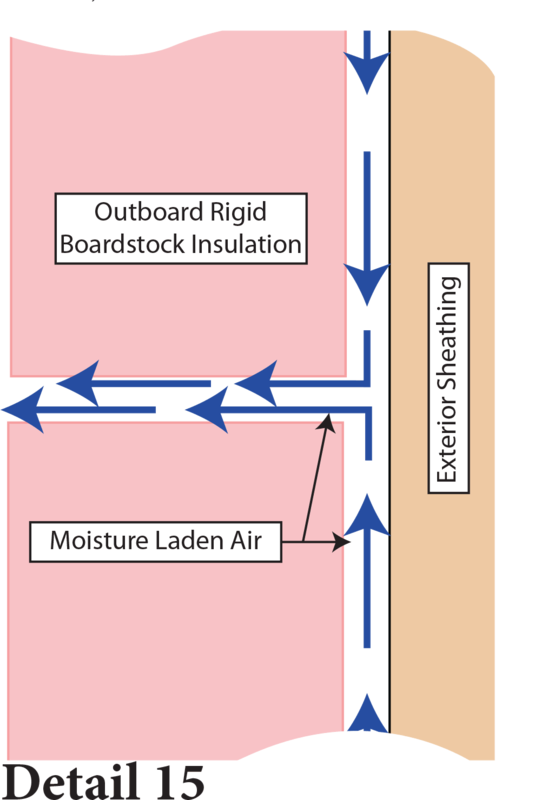 4’ x 8’ sheets of OSB and plywood have replaced 1” x 10” or 1” x 12” shiplap board stock as the sheathing material of choice for the exterior building envelope. 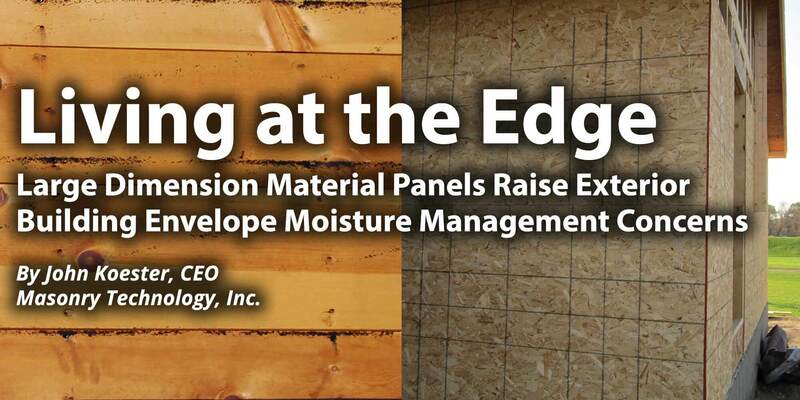 The factors driving this trend include labor savings, better utilization of materials and the positive structural characteristics of these larger panels. 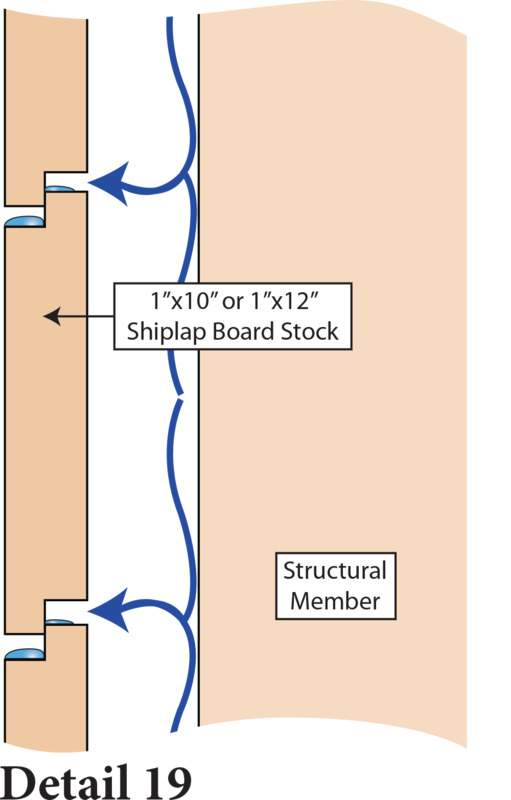 Sheet stock construction material sizing has also increased, and for the same reasons. 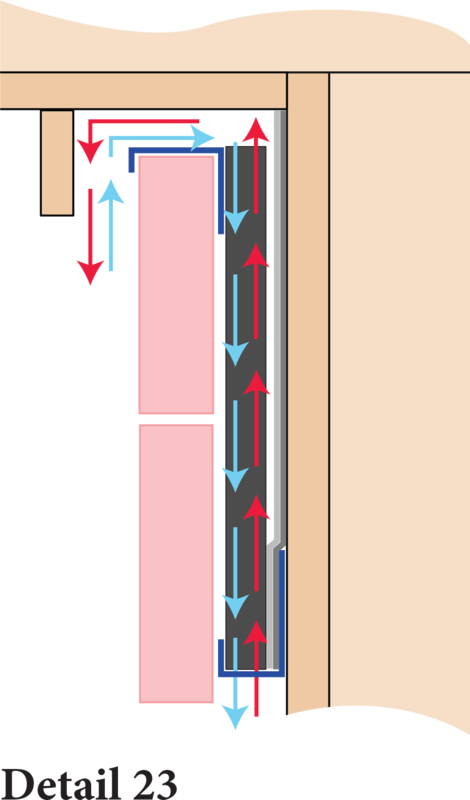 The use of 9’ to 10’ wide rolls of synthetic WRB in place of 40” to 54” rolls of asphalt impregnated roll stock is increasingly common. 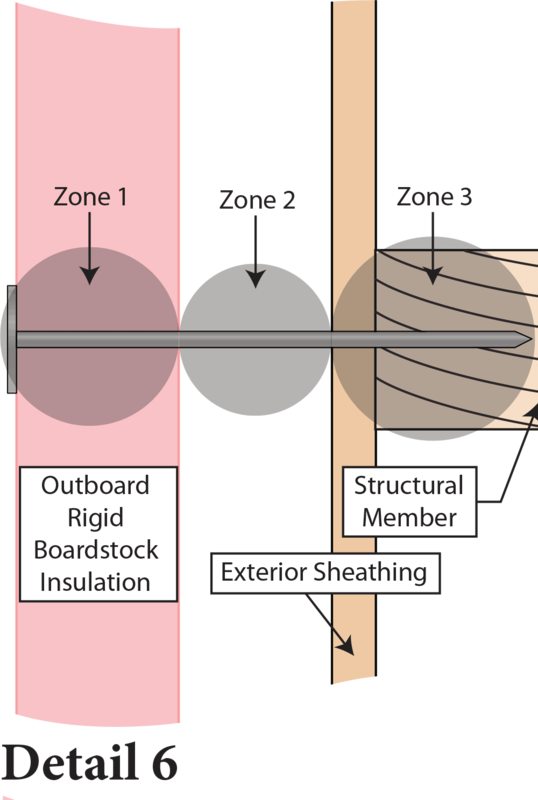 This movement, and the stress it creates, impacts the other components of the exterior building envelope including the fastening mechanisms, structural members, covering membranes, coatings, etc. 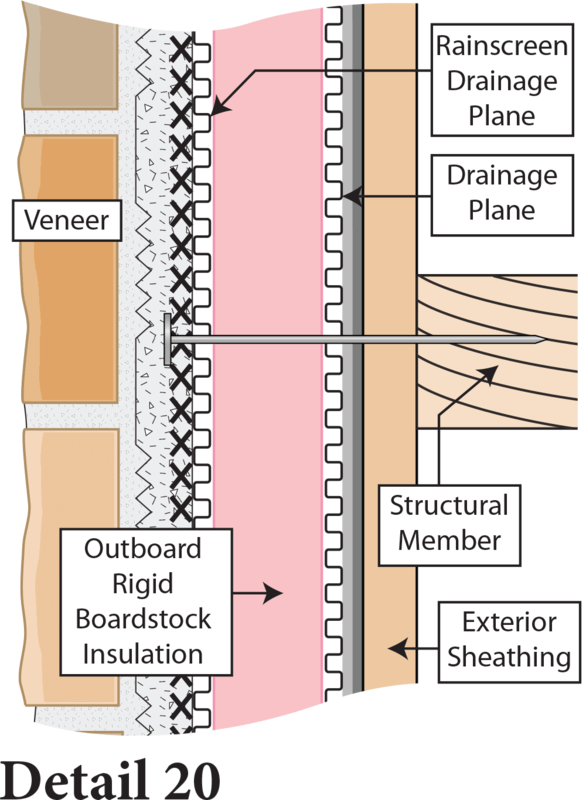 Most fastening mechanism failures follow a “zipper-like” pattern. 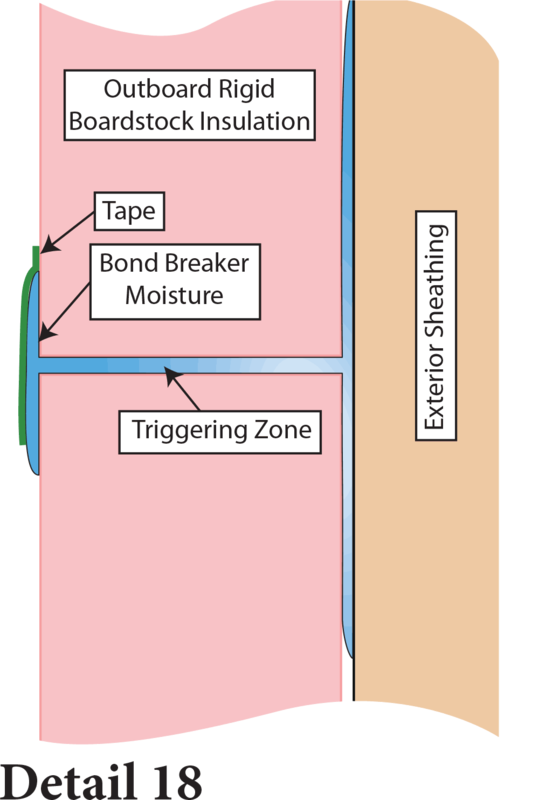 Stress is incorrectly compensated for and one or more fastening mechanisms stress to failure causing the released stress to transfer to the adjoining fastening mechanisms that in turn are overstressed to failure. This ultimately leads to overall system failure. 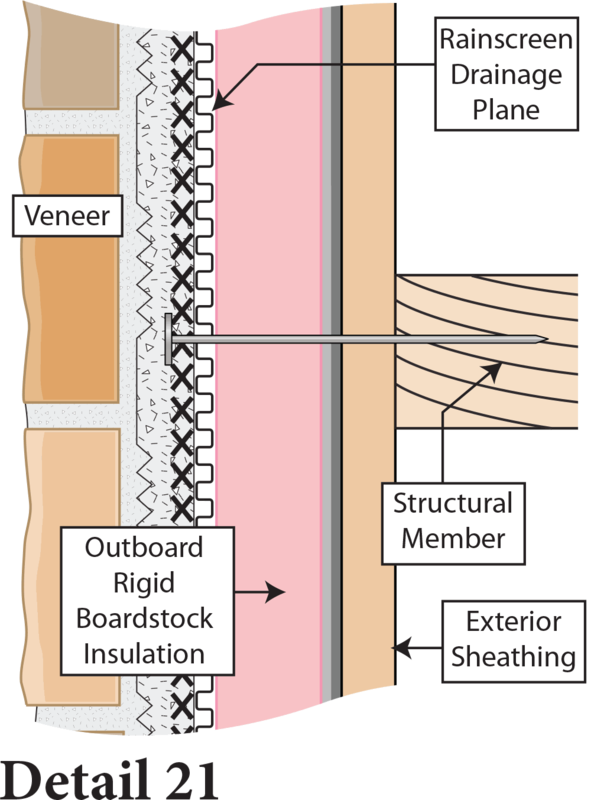 Large panels of construction materials also impact the exterior building envelope by directing air pressure equalization requirements to their perimeters. 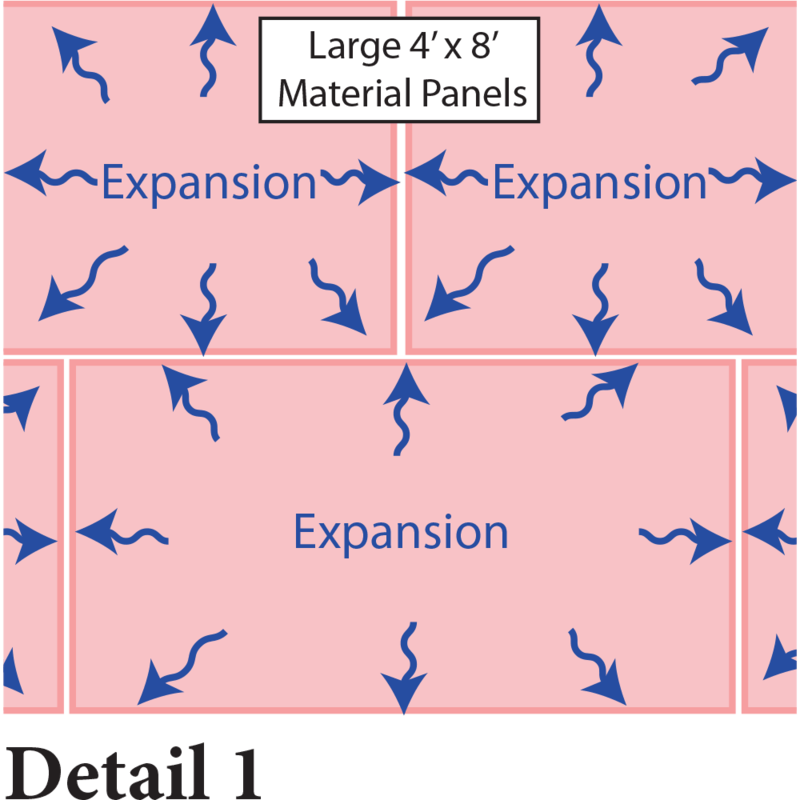 (see detail 13) This is generally true with all materials of any dimension, small or large, (see detail 14)but similar to the expansion-contraction movement of larger panels of material, it is directed and accumulates at the edges. 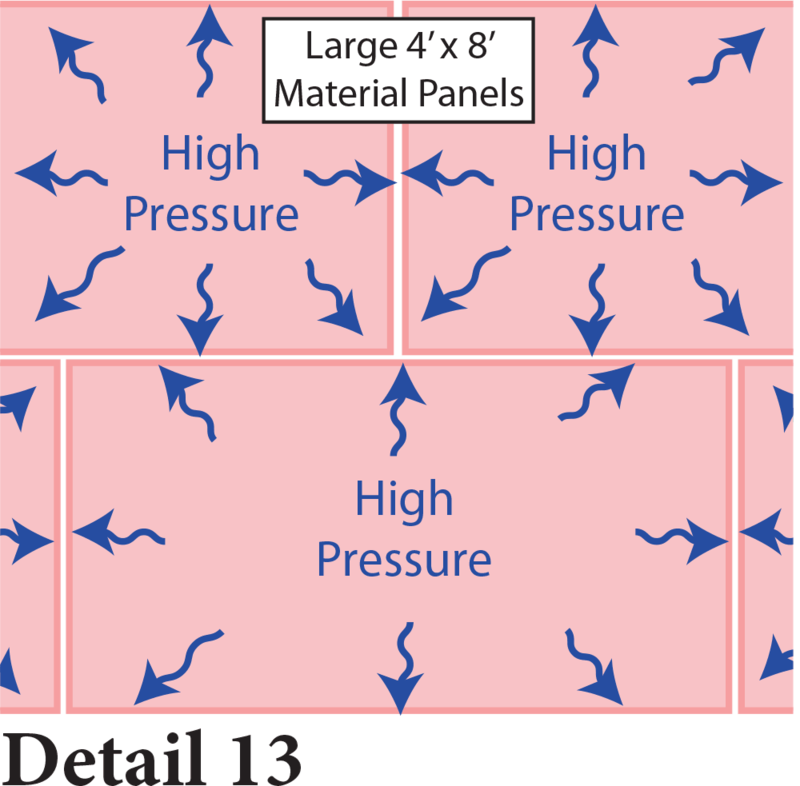 (see detail 13) As with the expansion-contraction movement, there aren’t necessarily more or fewer pressure equalization requirements, it’s that they all occur at the perimeters of the larger area. 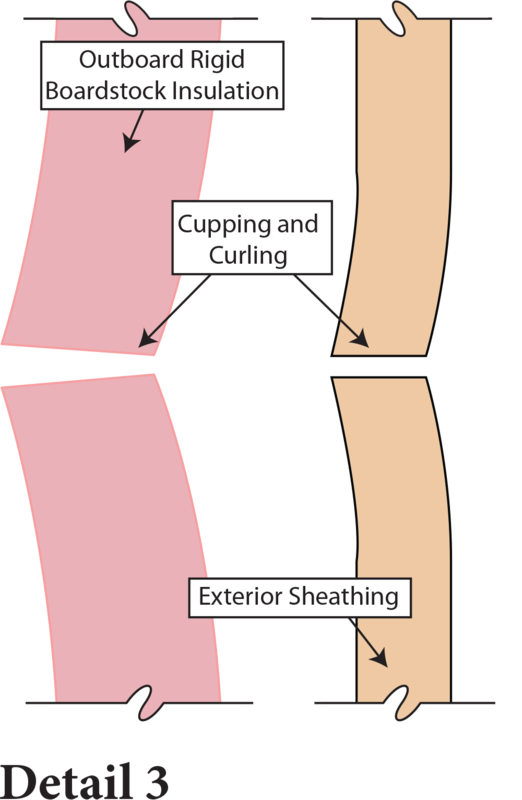 This concentration in a smaller, more restricted area causes a unique phenomenon. 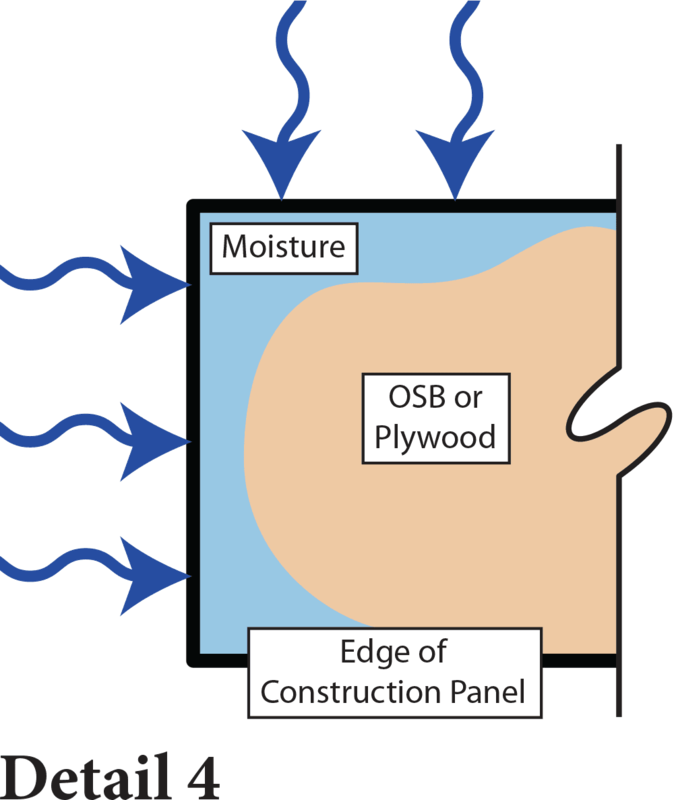 The negative results of a contaminant (in this case moisture) are directly connected to its physical form and its amount of concentration in a material or location. 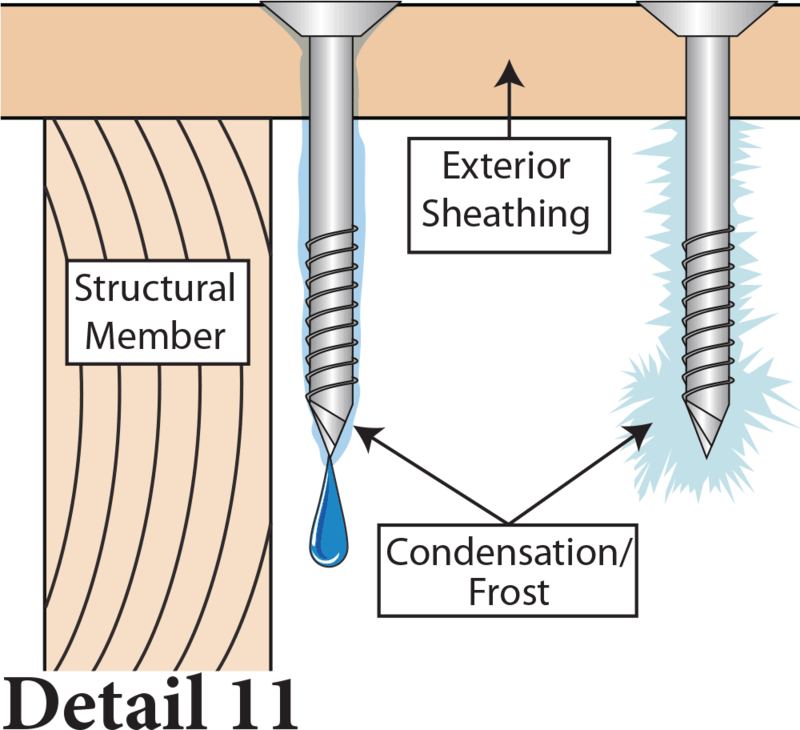 An example would be a gallon of water in vapor form dispersed throughout a house as opposed to a gallon of water in liquid form concentrated in a single window sill detail. 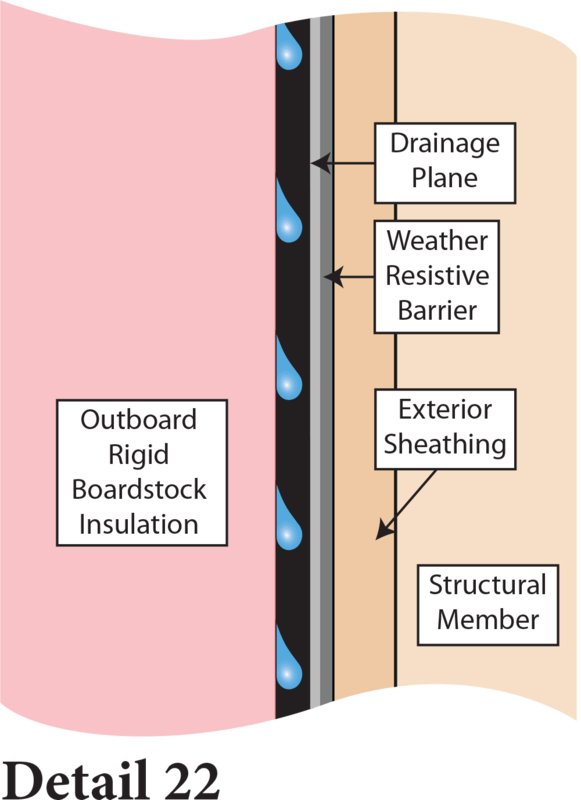 This liquid water will wet the surfaces in these joints and will absorb into their edges and into materials adjacent to the edges of the construction panels. 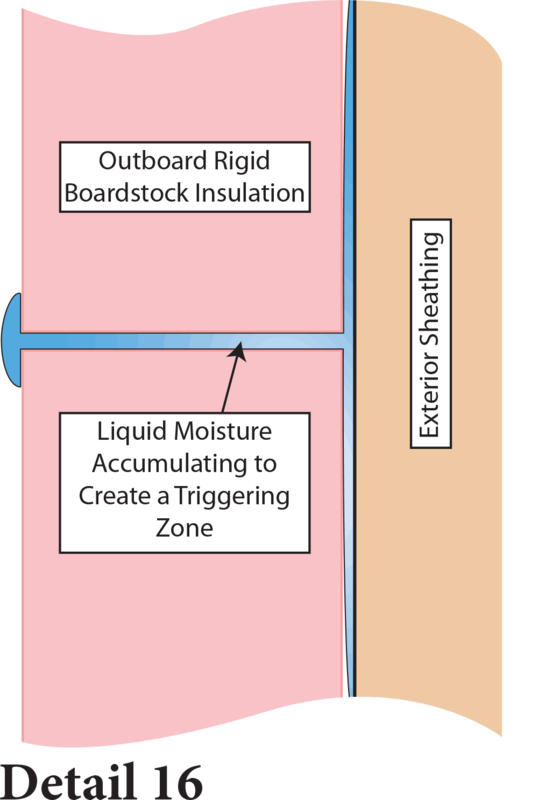 This wetted material will, in turn, conduct temperature more readily than dry material thereby amplifying the negative condition. 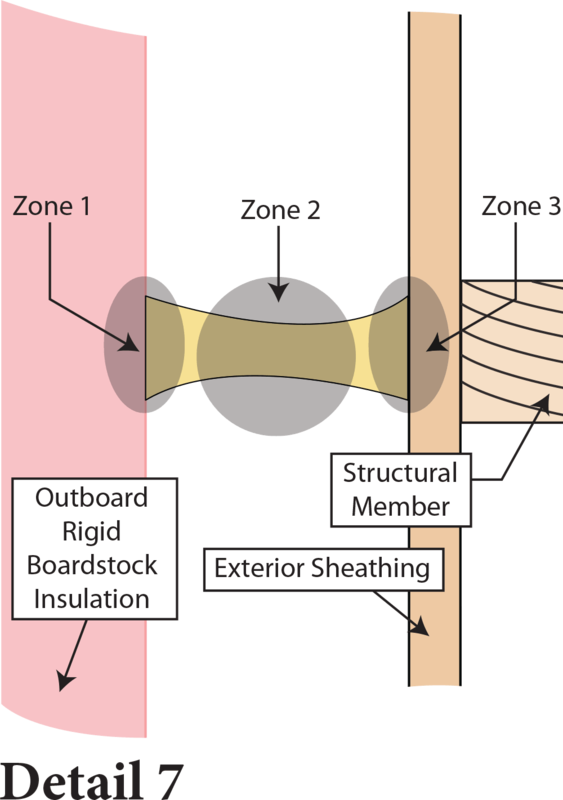 The failure of tape at the taped joints of large construction material panels may be attributed to this phenomenon. 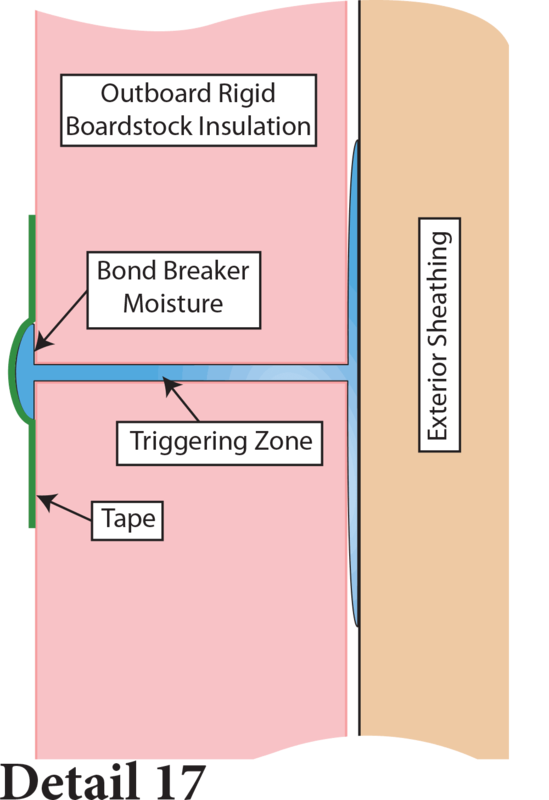 The joints are contaminated with moisture (a very good bond-breaker) before the tape is applied, and the tape’s ability to bond is degraded from the inside out. 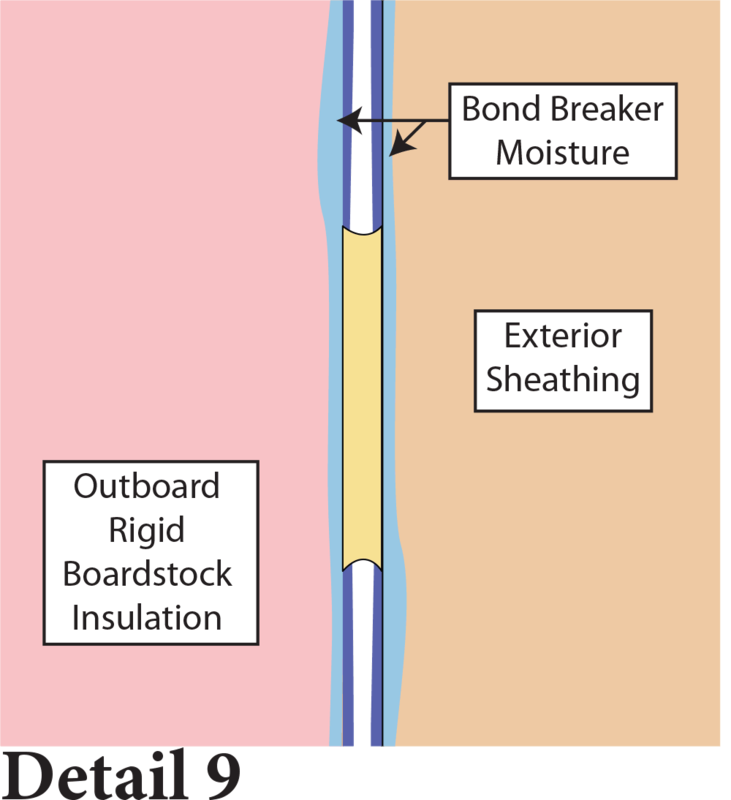 (see details 17 and 18) This condition is exacerbated when the taped seams (joints) fail and moisture is allowed into and behind the large construction panels from the outside in. 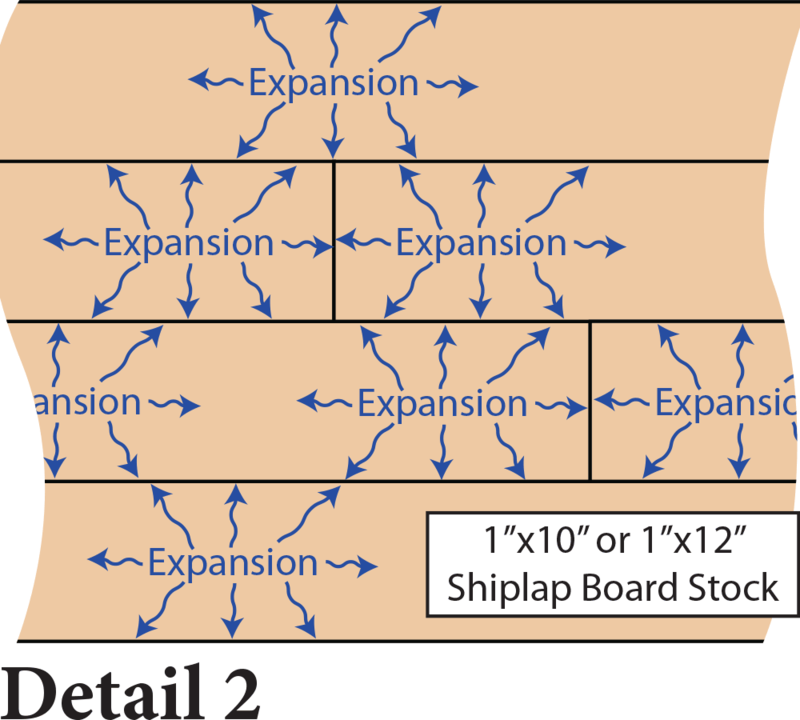 No one can turn back those proverbial “hands of time,” and in the case of large dimension material panels used in the exterior building envelope, it’s neither possible nor necessary. 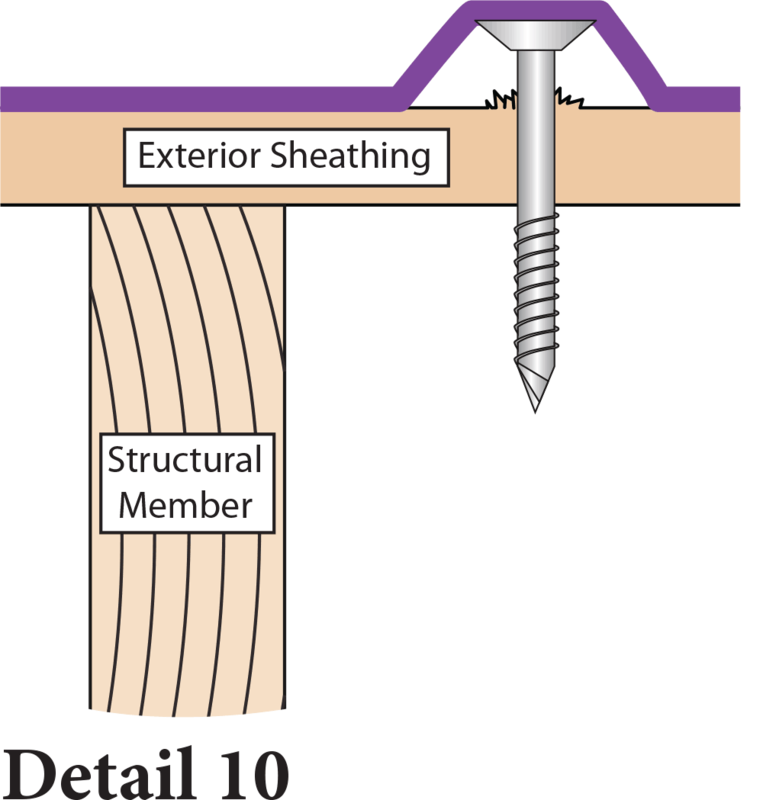 It is possible and necessary that the construction industry understands that whenever a new material with either a new dimension or composition is introduced into any system, it may (and often will) have a negligible impact on the other materials used with it. We must focus on “holistic” building if we truly want to achieve “sustainable” buildings!